On 27th March, ITV's WOS Wrestling and Anthem Sports and Entertainment, parent company to IMPACT Wrestling, held a press conference at dock10 at MediaCityUK in Salford, Greater Manchester on the heels of announcing that WOS will return to our screens for a 10 part series later in 2017. Before hand, ATPW got the chance to speak to three members of the roster, beginning with WOS commentator and veteran of the British wrestling scene Alex Shane. ATPW - World of Sport is back on ITV after thirty years, what's been your involvement in bringing UK wrestling back to a main stream audience? Alex Shane - I think really, the people that really deserve credit, there's obviously a lot of people, producers and wrestling insiders, but I think what happened was ITV were smart in seeing there was a real revival in British wrestling. Nobody could have done it more than the fans done it, by supporting it and actually getting behind it. All of sudden because there was more fan interest and more promotions and because there was more promotions there was more fans. We essentially reached what ever industry needs, when it reaches it's zenith, which is a tipping point. The tipping point happened and ITV was the first major broadcaster, it happened on a few smaller channels before, but ITV, always with their finger on the pulse said "Now's the time to bring it back". I think, it really was, even though there's lots of people, who've helped this go to a series, Tom McClennon, Jeff Jarrett, the people like that who have done the inner workings of getting it going, really I think it's down to the fact that the industry was just ready. It's taken a long time, but I think that time was needed. To get the talent ready, to get the promoters ready and even to get the fans ready. Because even a few years ago, the wasn't really the same fanbase that we see today. Yeah and also I think the important thing is wrestling is a skill, but wrestling on television is a different skill and because there hadn't been British wrestling on television, it was almost impossible to find the guys ten years ago that were British with the experience wrestling on television and any that showed any promise were snapped up by WWE. So anytime anyone came along who had that ability, a Sheamus, a Wade Barrett, an Adrian Neville, they would be plucked for stardom in the States, but it, kind of, left a drought on our scene. Now we've got a situation where this generation, because there's lots of wrestling companies in England, some tremendous ones, that have done a lot to build the scene, now they film their stuff and because of that they use two, three, four, sometimes five cameras and that's given the guys the experience of going "Hold on, where's the hard camera?". So now the wrestlers are actually ready for television. Whereas I was trying to get wrestling on television, for most of my adult life, but if I'm honest, ten years ago, I don't think we were ready. Now, we're more than ready, that's why everyone's ready to explode and get a full series which is what today is all about! On the special on New Year's Eve, you commentated with WWE Hall of Famer Jim Ross, someone you'd worked with earlier in the year at WCPW, how was that experience? It was amazing. There's so many compliments than you can give JR, but one of the ones I had to tell him was, "When I commentate I hear your voice", which was a compliment, but was intended as me being nervous. There was one point where I said "That clothesline turned him inside out, inside out!" 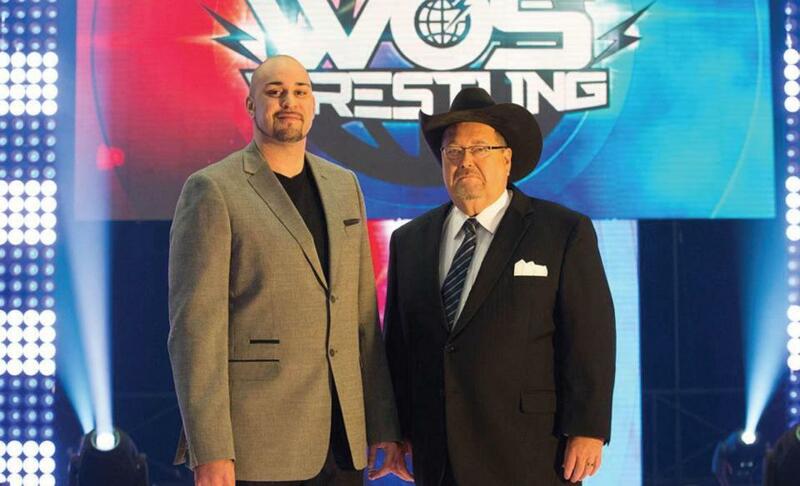 and suddenly as I said I thought "Oh my God, I've just done Jim Ross, to Jim Ross, on TV!" The fact that JR is such a legend and the fact that he is the voice of my childhood and some many others, if I hadn't worked with him one time before, I think I would've been terrified for the pilot. Actually as it turned out, all the planets aligned, I think in life, when something's meant to be, you feel it in the moment and I felt it was meant to be. It was great, really really great and he's a legend. Do you know if there's a plan to bring JR back for the series? I hope so. At this point in time, obviously it's the last thing that anyone's going to ask him about, because of what happened with Jan, which is a really sad situation. Even though he's at the top of everyone's thoughts, I don't think his television schedule is, but let's see what happens. How did feel about the reaction that special got when it aired? It was pretty amazing. I watched it at a New Year's Eve party with my family, my Mom, my Dad, my Auntie, my Uncle, my Missus, we all sat and watched it and it was surreal. I make television programmes as well, but not on the scale of ITV World of Sport. I think that was the point when all of the wrestler that were on that show, came together and realised, "Wow, this is The X Factor, but with us!". The fan reaction was fantastic. At the moment you're working with a couple of different companies, the likes of WCPW and NGW, how will those experiences pull into creating WOS? I think the experience is fantastic. As a TV producer I look at what's happening on screen and I think what should the soundtrack to this be. So for WCPW because it's more tongue in cheek, I'll make it a bit more funny and not so serious. With NGW, it's essentially a brand for kids, that's also cool enough for adults to go "There's a good match", but it's aimed really at children, so I don't do any of those kind of jokes. I think with World of Sport, it's perfect, because it's exactly in the middle. It's got to be engaging enough, that you might crack a joke here or there, but it's not a joke show, also you want to make it accessible enough for wrestling fans so it's serious. So with all of those experiences, World of Sport is the perfect mixture of all those style. Just to turn the questions round on you, what did you particularly like about the show? I liked that there was something for everyone. I didn't feel it was a blowaway show, but it was sound throughout. You had El Ligero vs. Zack Gibson, the tag team match and you had the story between Dave Mastiff and Grado throughout. There was something to pull the audience in and it was a good way to introduce the product. I agree. It did what it needed to do. I always say if you look at World of Sport in 1988 and you look at Gladiators in '92, that's five years in real time, but in TV time it looks their thirty years apart. British wrestling needed that influx of light, sound. This press conference is better produced than most of the World of Sport stuff in 80's, which says a lot. I think that's really what it needed to show. It needed to show to a whole new audience, that British wrestling can do the production, it can do the elaborate lighting rigs, video screens. I think that's what it did and it did a great job of doing that. It showed a colourful, flashy cast of character. So WOS is currently scheduled to tape ten episodes. Would you prefer to tape those ten and then take a break or would you prefer to do more of a weekly soap opera style? That is a very good question! I am a fan of series'. NGW, you mentioned earlier, I do that in seasons and now a few other companies in Britain are in seasons. I think, you have a burnout, Coronation Street is a perfect example. Not of something that's "burnt out" but of something that needs a massive turnover of writers, but then with new writers you lose people who were familiar with the product. So, what you need is a team of people who know wrestling, one, people that can write, two, that have a rapport with the wrestling, three, and also know what else a wrestler has in the tank. You go "I know, this guy has got that amazing blow-away match in him, particularly with this person", so if you actually narrow it down, even though everyone wants to be a wrestling writer, it's a really narrow group of people. You don't want those people to get burnt out by doing 52 weeks a year, plus specials, so I'm a big fan of the concept of doing series. I like it personally, all my favourite shows are in series, in fact, I don't have another show that isn't in a series. Just from my own personal tastes that's what I like, but other companies have been very successful running forever, but I think it could potentially create burn out. If you compare it to the original, you used to have one match sometimes that would go on for half an hour, depending on how many rounds it was, but now people want it quick and so I think series are the way to go. Do you know how many episode will be taped per taping? That's the magic question! Probably best for me not to say anything that might be an accidental world exclusive! "Alex Shane crucified in World exclusive shocker". That's the great thing though, when you're in the hands of a TV channel, not just a production company, but an actual TV channel, you can't find anyone better at making television. Whereas a lot of the time you have a wrestling company that tries their hand at making television, which can be a problem. Then sometimes it can go the other way, you get a television company, that's trying to do wrestling without wrestling people. Which is why I think with IMPACT Wrestling, we've got people who've got a lot of experience, Jeff Jarrett, Jeremy Borash, who have a lot of experience of doing large scale, American television, but there's enough influence from us Brits in there to keep it British as well. I think that's going to be a massive Godsend. So, the long answer to your question is...it'll be good, no matter how many they shoot. I think with the talent already involved and IMPACT Wrestling/Anthem Sports and Entertainment coming in as well, it should create something that the British wrestling fans can be really proud of. With ITV you've got the potential to take the product around the world, do you see the product being able to spread internationally? Well, yeah, Anthem has the Fight Network. The Fight Network is in 36 countries. I know that because I make two shows from them. So it's in a lot of countries, it's just because we don't have it here, a lot of people don't realise, but it's everywhere. So, that's a great thing as well, because I can only imagine, that means more people in different countries will be watching World of Sport and potentially who knows maybe some of the archive stuff, it could be really exciting. I'm speculating on that, but that's exactly what I would do. It's perfect. I'd like to thank Alex for taking the time to talk with us on Monday. 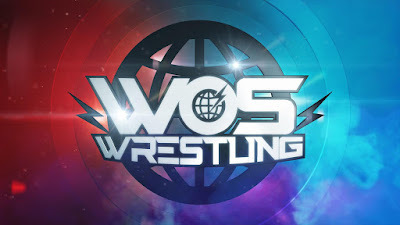 WOS Wrestling will tape at Preston Guild Hall on 25th/26th May with tickets going on sale on 7th April at 9am from Gigs and Tours, Ticketmaster and Preston Guild Hall.